I started scanning photos of my mom this evening (I’m making a photobook of her for myself and my family). I found a picture of her in grade 4. Just this past weekend, I happened to dig up a photo of myself from grade 4. It didn’t take much to locate a photo of my daughter from this past October (she happens to be in grade 4 this year). 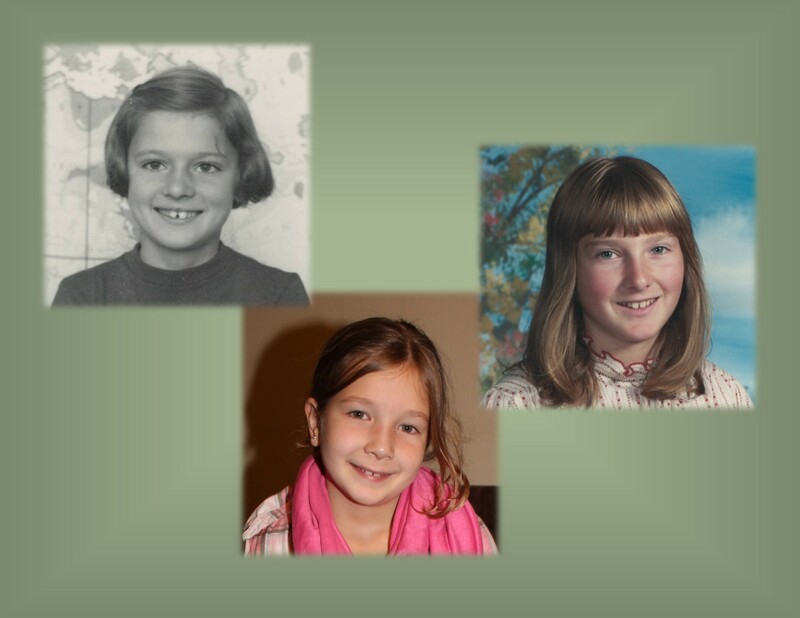 So there you have it – 3 generations all taken during each’s grade 4 year. Crazy, huh? The eyes were different, but the smiles seem so similar!